Rosemary Duff Florist came to Twist Agency to build their Instagram presence. RDF wanted to build more relationships in the wedding industry, as well as get more styling opportunities within the local community. Twist Agency created a strategy that would let the work speak for itself by capturing real images: before, during and after the wedding is complete. 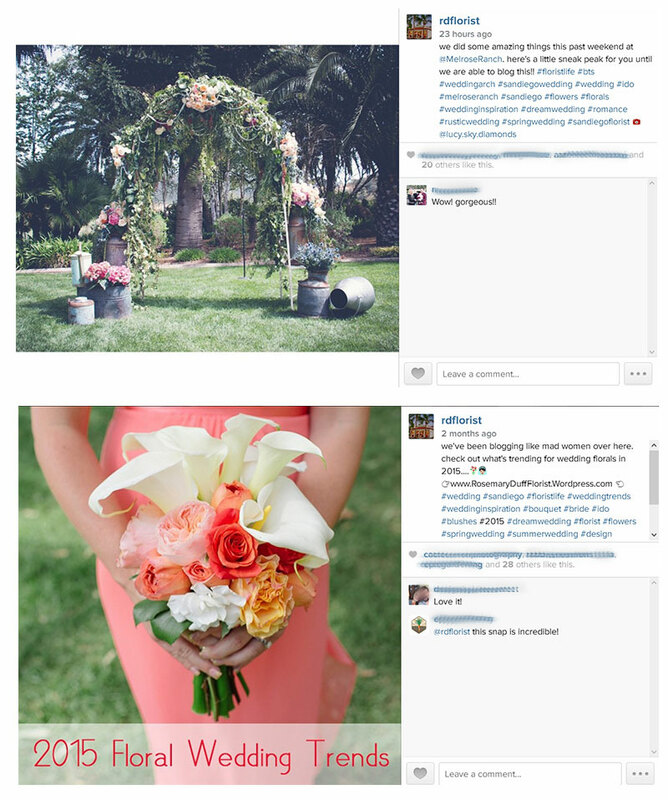 Twist Agency used Instagram as a way to keep RDF top of mind within the wedding community in San Diego. They received several new inquiries from industry contacts that might have never known RDF existed without their Instagram presence. Using this platform has given RDF a chance at reaching a new target market and keep the relationships going with their fellow industry partners. More often than not, people are seeing RDF’s posts on Instagram and are catching their attention to then explore other parts of their online presence. Wow, you just get me.